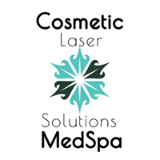 Cosmetic Laser Solutions Medical Spa is pleased to offer a variety of advanced laser, cosmetic, and skin care treatments. Our professionally trained staff will help you plan the best treatment for optimal results while adhering to the highest safety standards. Cosmetic Laser Solutions offers everything from state of the art Laser Treatments, to the immediate results of BOTOX and Restylane, Laser Face Lift, Sclerotherapy, Tattoo/Vein Removal, Acne Laser Treatments, Skin Tightening, Vaginal Rejuvenation and more. Dr. Marasco specializes in Plastic Surgery Dr. Marasco graduated in 1983 from BU School of Medicine.